After 18 months and 16 prototypes, this little beauty is ready to roll! 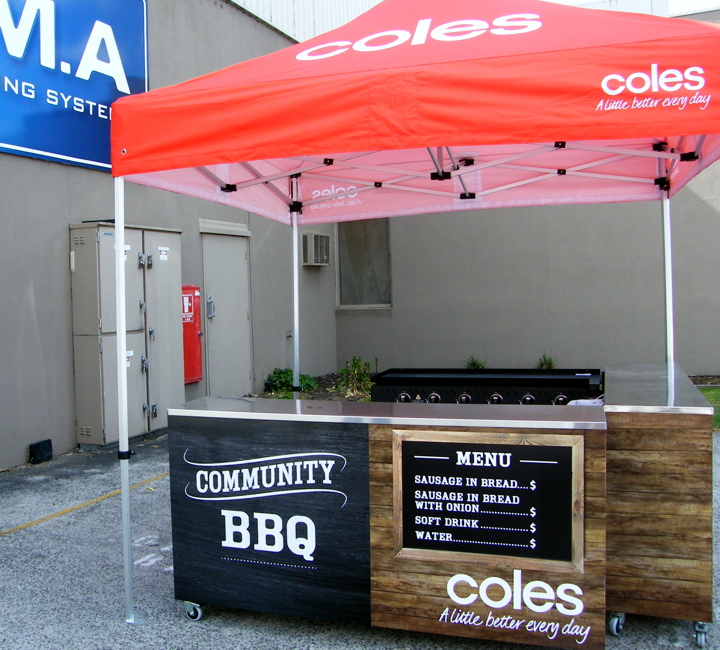 Our customer International Marketing Concepts required assistance with a concept for a fully compact, transportable BBQ stand for Coles Supermarkets. This required significant R&D and several prototypes before arriving at the current design, which is now ready for a potential rollout to stores across Australia. We provided the steel fabricated frame, composite panel applied to the front, plywood internal shelves, stainless benchtops and surround digital printing. What do you think?